OraCare™ is an oral cleanser utilizing activated chlorine dioxide. In a university study, chlorine dioxide has been shown to kill bacteria, viruses and fungi, destroy biofilms and neutralize bacterial toxins (VSCs). Dr. Szyperski offers OraCare in her office. Call us now at 707-763-4122 to learn more about how the OraCare™ mouth rinse can help you reach your dental health goals. Below are some Frequently Asked Questions (FAQs) and answers. Q: What if I have periodontal disease or gingivitis? Would OraCare™ be recommended as an alternative to Peridex? Many dentists are now recommending OraCare™ over Peridex for your periodontal and gingivitis care. It will not stain your teeth or interfere with taste like Peridex does. It also can be used long term. Q: My dentist has me rinse with OraCare™ before he/she does an injection or does any treatment. Why? You may have noticed that any time you get an injection from a nurse or physician that they always disinfect the area before the injection to help prevent bacteria being carried into your body by the needle. We believe this must be the standard of care for dentistry too. Q: My dentist also has me rinse with OraCare™ after he/she is done with treatment. Why? It is a fact that bacteria and bacterial toxins deep inside a tooth or in gum disease can be brought out to the tissues of the tongue and other mucosal surfaces in the mouth during treatment. These should be removed as much as possible. It is a fact that the more bacteria and microbial toxins that are present in a wound area or injection area will delay healing and induce pain. 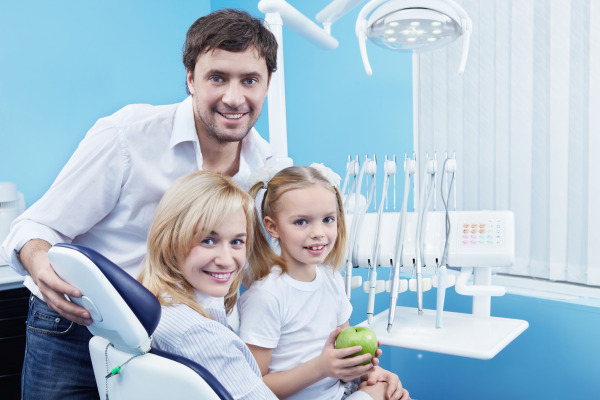 Doesn’t it make sense to help promote healing and reduce pain after a dental procedure? Q: Is one use enough? For best results, use OraCare™ dental rinse twice per day or as directed by your dentist. Q: Will this make me healthier? We believe so. There are many studies that link the reduction of germs and diseases in the mouth to better overall health. Q: I’m a vegan, would this fit into my practice? Q: I’m pregnant. Can I use OraCare™? You can use OraCare™ while pregnant. Q: If I want to keep my mouth super clean. How often can I come in for a Power Cleanse? You can come in for a Power Cleanse with OraCare™ as often as you like, or you may purchase OraCare™ from your dental professional for home use. Q: How long will my bad breath be gone for? After rinsing with OraCare™, bad breath will be gone for 12 hours. Bad breath will be improved for 24 hours. OraCare™ is very safe. The active ingredient is Activated Chlorine Dioxide which has been used for over 70 years by hundreds of municipalities in the United States to purify their drinking water. It is also used by hikers to sanitize water in canteens. Q: I take antibiotics. Can I use OraCare™? You may use OraCare™ while taking antibiotics. Q: Will OraCare™ make my teeth sparkly? Yes. OraCare™ helps to maintain white teeth. Q: Can I eat immediately after cleansing with OraCare™? Yes, you may eat immediately after cleansing with OraCare™. Q: Can I power cleanse after my treatment? Won’t there be more germs released while you are working on me? Yes. Dentist Select recommends Pre-, Mid-, and Post-Treatment Rinsing with OraCare™. Q: Can my kids use this? Children age 8 and up can use OraCare™. Accidental swallowing of a mouthful will not harm children or adults. Q: How long will I be germ free? OraCare™ does not make your mouth germ free. OraCare™ greatly reduces the number of germs and the mouth gradually returns to its normal state in about 24 hours. Q: I understand OraCare™ breaks down Bio Film. What is Bio Film? Bio Film is a sticky film of germs. In the mouth, it is called plaque. Q: How long will the Bio Film stay out of my mouth after this treatment? Bio film is reduced for approximately 24 hrs after treatment with OraCare™. Q: What is the magic ingredient? Is it a chemical? Yes – the active ingredient in OraCare™ is Activated Chlorine Dioxide. It is not harmful if accidentally swallowed. 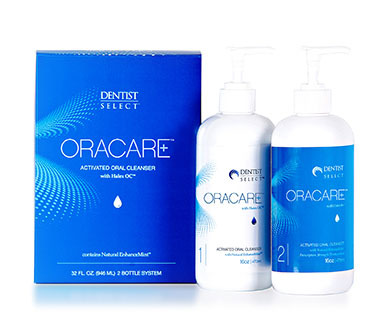 Q: Why is OraCare™ only sold through dental offices? Although studies have shown there is nothing better to eliminate bad breath, OraCare™ is much more than a mouthwash. OraCare™ is a health rinse and a tool for dentists to use to reduce the bacteria that cause many diseases in the mouth.